Not only does lack of quality sleep deprive your body and brain of important renourishment, it does so for your skin as well. Your skin needs rest in order to keep hydrated and regenerate cells, both of which can only be achieved during REM, and both of which help your skin maintain a youthful glow. 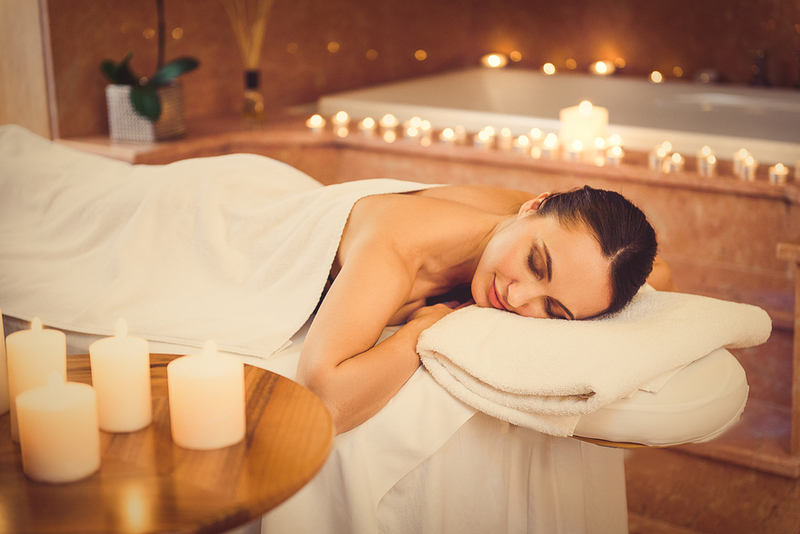 While “sleep” may not be something you find on a spa menu, there are some spa treatments that promote the Z’s you need. According to the National Institute of Health, quality sleep can be greatly improved with massage therapy. Studies found that massage therapy improved sleep across the board, from infancy to adulthood, the spectrum in between and beyond. In another study done by the International Journal of Neuroscience, with a focus of how massage therapy affected back pain, found that in addition to decreasing pain, those who received massage therapy twice a week, for 30 minutes a time over the course of five weeks, experienced improved sleep using massage techniques such as deep tissue and Swedish massage. The science behind massage therapy and how it affects quality rest can be found in the chemicals produced during a proper massage treatment. Massage therapy helps the body produce serotonin, a chemical that affects mood, appetite, memory, social behaviour and more… including quality sleep. On the other hand, lack of sleep releases a pain chemical which is why people who suffer sleep deprivation are at higher risk of suffering from chronic diseases. In addition, massage stimulates blood flow which plumps slack skin and helps move toxins out of cells leaving room for good nutrients to take their place. This combination can do wonders for a dull complexion. So if you’ve been having trouble getting the sleep your body needs, come in for a massage. We’ll get you glowing from the inside out!